There are stickers on the front and back of the wrapper. See photos for the exact item you will receive. Complete in box, manual staples have rusted. Box & manual in mint condition. 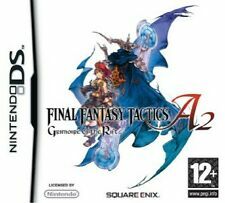 Final Fantasy IV for the DS stays faithful to the classic role-playing that has appealed to fans of the franchise for so long. Players must travel the world, going to various towns and dungeons, defeating a host of terrifying creatures as they progress. 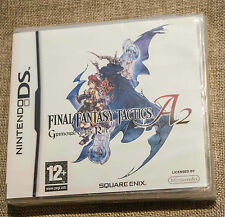 Final Fantasy Chrystal Chronicles Rings Of Fate Nintendo DS *FREE DELIVERY*. Condition is Very Good. Dispatched with Royal Mail Signed For® 1st Class Large Letter. 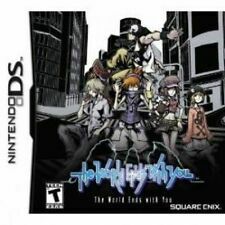 The World Ends With You (Nintendo DS, 2008). Condition is Very Good. Dispatched with Royal Mail 1st Class Large Letter. Final Fantasy Crystal Chronicles: Ring of Fates (Nintendo DS, 2008) -.... Condition is Very Good. Dispatched with Royal Mail 2nd Class Letter. Compatible with DS, DS Lite, DSi, DSi XL, 2DS, 2DS XL. Also, plays on 3DS and 3DS XL (NO 3D effect). No collection. Tested & Fully working. For Nintendo DS, Lite, DSi, XL, 2DS and 3DS (playswithout 3D effect in 3DS consoles). Final Fantasy III. FULLY WORKING. NO BOX, COVER OR MANUAL. Can also be played on the Nintendo 2DS and 3DS consoles. Final Fantasy IV. all saved data erased so you'll start from new! From Aladdin's Agrabah to Beauty and the Beast's Castle, you can expect to retread many familiar locations. Realise the tale of two heroic yet innocent twins in a unique story of fate, adventure and fraternal love. 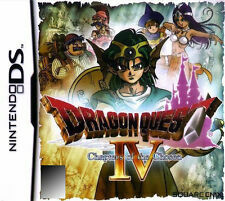 -Up to four players can co-operate via DS Wireless Play! -Gorgeous 3D graphics and an emotional audio score create a beautiful world to explore. Kingdom Hearts 358/2 Days - Nintendo DS Game - FAST & FREE delivery. 4.5 out of 5 stars - Kingdom Hearts 358/2 Days - Nintendo DS Game - FAST & FREE delivery. 8 product ratings8 product ratings - Kingdom Hearts 358/2 Days - Nintendo DS Game - FAST & FREE delivery. Nintendo DS:Legend of Kage 2. Original UK PAL release which is new & factory sealed, with the clear tear strip embossed with the red recycle symbol. UK PAL version. UK - £3.00. Overall very good factory sealed condition. This item is in perfect condition, all inlay booklets & manual included. ARKANOID DS. for the Nintendo DS. UK / PAL version. Compatible With Nintendo DS, DS Lite, DSi, DSi XL, 2DS, 3DS & 3DS XL. 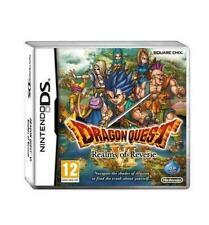 BRAND NEW AND SEALED Dragon Quest VI: Realms of Reverie (Nintendo DS, 2011). Condition is New. Dispatched with Royal Mail Signed For® 1st Class Large Letter. English vers. Complete with manual. 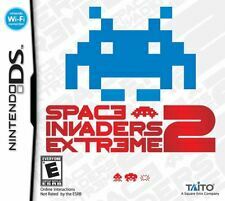 Space Invaders Extreme 2 (Nintendo DS, 2009. Condition is Like New. 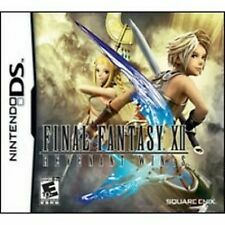 Nintendo DS Final Fantasy IV. Nintendo Catalogue NTR P YF4P EAN. Excellent condition. 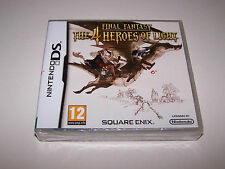 Nintendo DS:Final Fantasy The 4 Heroes of Light. Original UK PAL release which is new & factory sealed, with the clear tear strip. UK PAL version. A little shelf wear Overall near mint factory sealed condition.